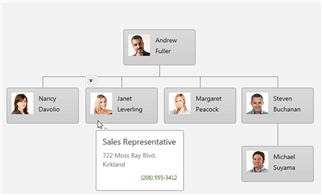 The KWizCom SharePoint Organization Chart web part connects to various sources and provides various views for the display of organization breakdown structure (OBS). 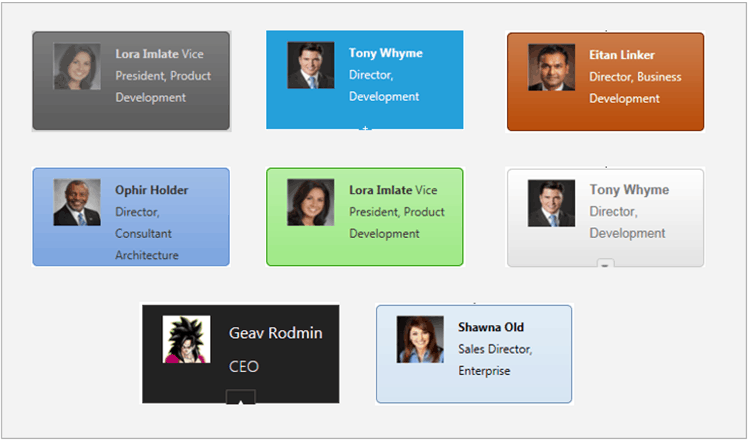 Get the Most Out of Your SharePoint Organization Chart! 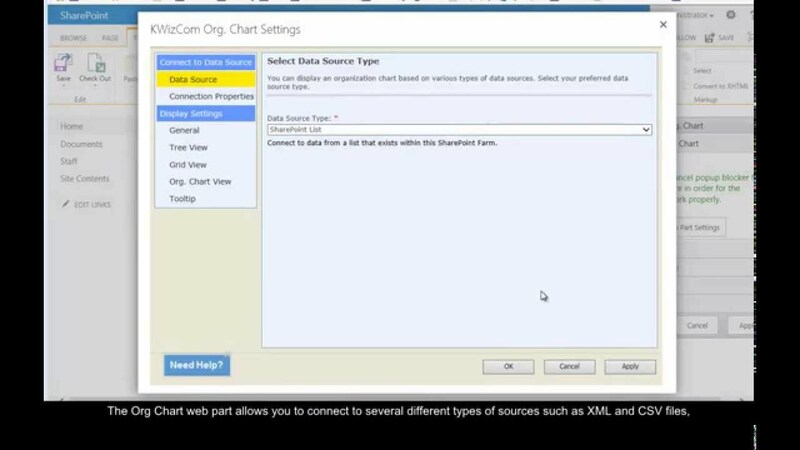 Use the KWizCom SharePoint Org. 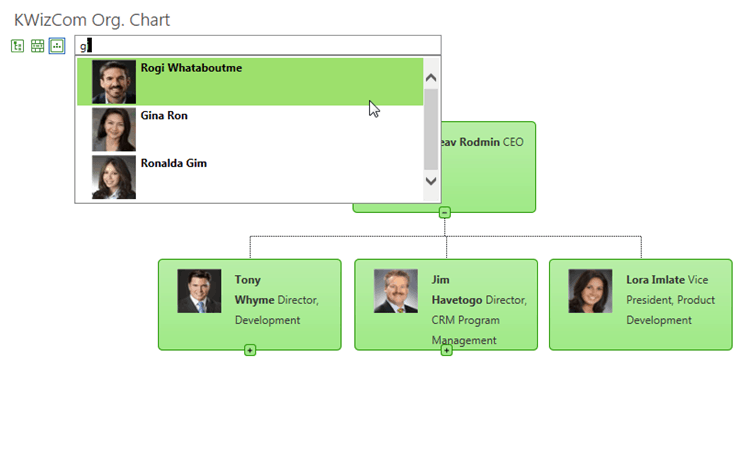 chart view to quickly explore your organization’s structure with ability to drill down and zoom to selected level. 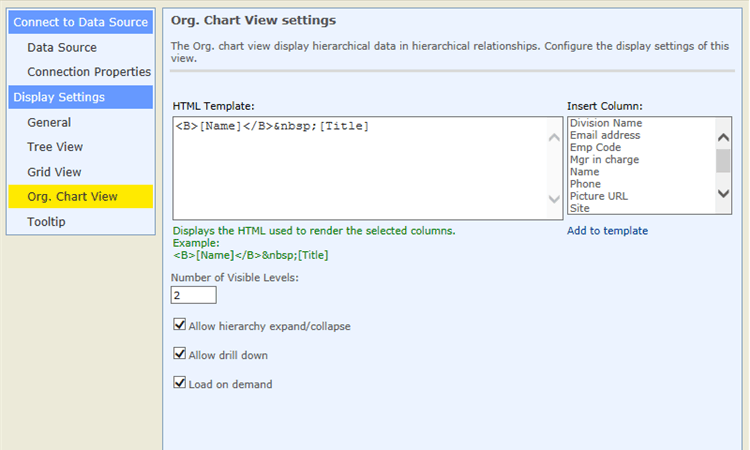 This view allows you to explore the hierarchy faster, using less UI real estate than the Org. chart graphical view. 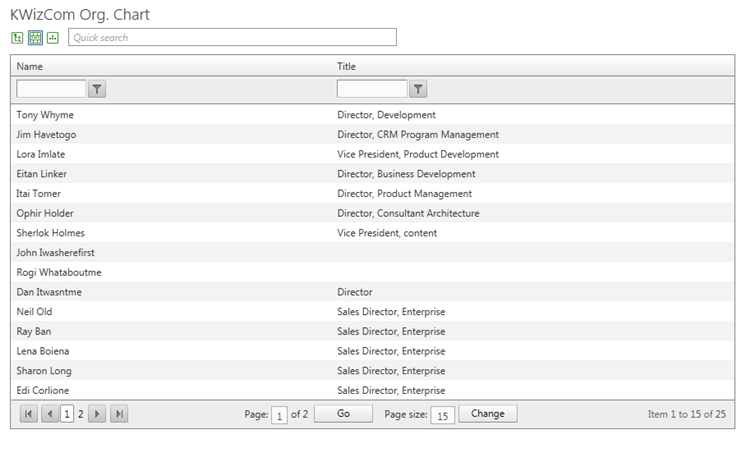 Use the Grid view to display your data in a tabular/table view with your requested columns. The view includes sorting, filtering and paging controls to enable you find the requested information quicker. Do you have thousands of employees in your organization? With the Search box you can easily find the people you’re looking for! Easily change the look & feel by selecting one of the skins available with the product. You can also customize/create your own skin that matches your exact graphic design requirements. Department/Corporate org. chart – especially in large organizations, sometimes it is not that easy to find the right contact. The Org. 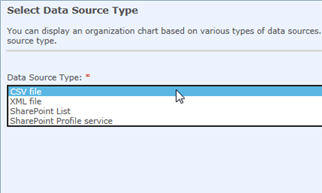 chart provides a clear view that enables finding the right contact by his name, role, his/her manager, etc.